Most people look forward to the summer. Finally warmer temperatures and sunshine. Protecting the skin against the damaging effects of the sun has become self-explanatory in this day and age. But doesn't our hair need special protection too? Faded colour, rough texture and split ends! The hair mercilessly exposed to the sun and is almost as sensitive as the skin, yet we tend not to protect it from the effects of the sun. Here are some of the best tips and tricks concerning "hair care and sun exposure". Most people do not know what happens to their hair during excessive sun exposure. This may be due to the fact that damaged hair does not cause any pain. Too much sun destroys the keratin layer of hair, attacking the colour pigmentation and the hair colour starts to fade. In addition, the cuticle is roughened when hair is damaged. This causes the hair to dry out and become more brittle. The ends of the hair turn into straw. There are now a number of products that counteract this. 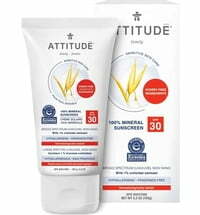 They range from products containing UV protection when directly exposed to the sun, to after sun care products. Sun expose is at its highest at midday during 11 am until 15 pm. The most effective protection for the hair from the sun is also the most banal: a headdress. However, this works wonders. It does not matter what type you prefer to use. A hat is equally as effective as a cap or a cloth. Proper headgear protects against dehydration, sunstroke and sunburn. When hair comes into contact with salt water or chlorine, it should be washed with clean water afterwards. Salt deprives the hair of moisture and fat. When the salt dries, it forms crystals that act like tiny burning glass. The UV radiation and the heat radiating from the sun are amplified. Brittle and dry hair and irritated scalp are at its most vulnerable. Chlorine residues are also not good for the hair and irritate the scalp. Washing your hair with cold water provides shine and resistance. It is advantageous to use a mild after sun shampoo. The salt and chlorine are washed out and the moisture content of the hair is balanced. Air dry the hair after cleansing. This is the gentlest method of drying hair, since hair dryers dry hair even further. Use a hair treatment once a week for extra care. A proper diet also plays an important role. It needs a lot of vitamin C, E and beta-carotene. 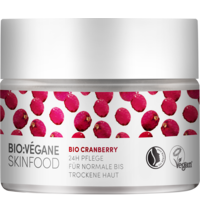 These are antioxidants that eliminate free radicals, which are formed by the solar radiation. Regular consumption of broccoli, spinach, apricots, berries and grapes is a good start. Sometimes, a visit to the hair salon cannot be avoided. It is best to sacrifice having one centimetre of hair cut when split ends are evident. If not, these split ends will continue to form. The use of coconut oil is the true secret. Virgin, untreated and unrefined coconut oil has valuable ingredients that have a nourishing and regulating effect and is one of the best treatments you can give your hair. By treating the hair with coconut oil, it becomes glossier, appears fresher with more volume, hair is revitalised and the damage is repaired. The correct application: wash your hair with a mild shampoo. Rinse thoroughly with clean water, dry carefully and comb gently. Apply a hazelnut-sized portion of coconut oil (depending on hair length, it may need more) to the scalp and hair and massage. Let is sit for at least 30 minutes or leave on the scalp and hair overnight (wrap in a towel when leaving the coconut oil on overnight) Then wash. Done.